No portraits or drawings are known of Thomas Chew or his immediate family. Perhaps publication of the article will flush one out somewhere. Two views of the steeple of the Church of St. Mary Magdalene, Chewton Mendip, Somerset. 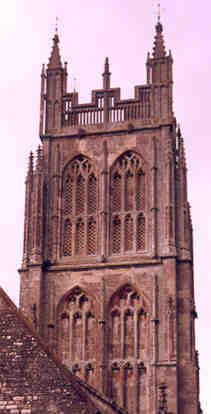 At 126 feet high, the steeple is one of the largest in England and is in the Perpendicular Gothic style of the early 16th century when Chewton Mendip was the center of a flourishing wool trade. Recently conserved and restored, the steeple contains a ring of eight bells cast by John Taylor Bell Founders in 1913. There are no extant Chew family monuments in the church or churchyard. 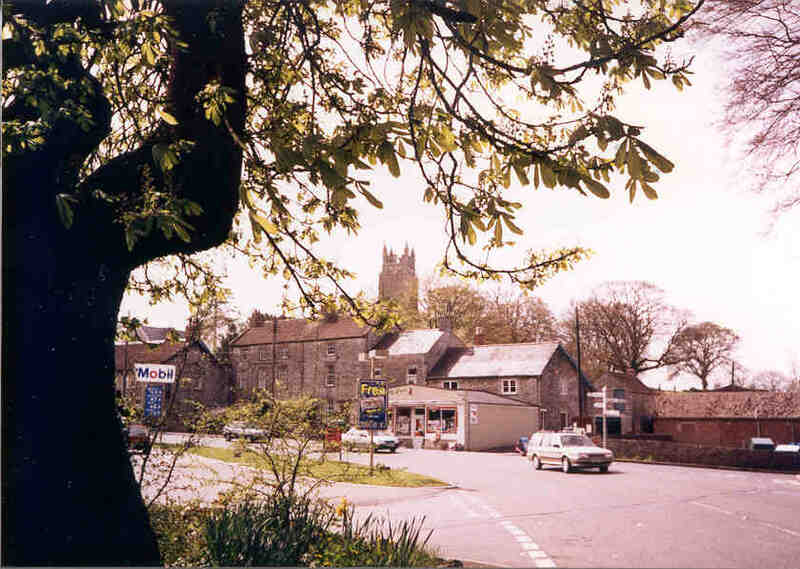 The present village of Chewton Mendip, Somerset, five miles northeast of the Cathedral city of Wells. The River Chew rises nearby and flows into the Avon between the cities of Bath and Bristol, the port city so central to the development of Virginia's tobacco trade in the 17th and 18th centuries. Many historians claim the family of the Jamestown, Virginia settler John Chew emigrated from Chewton Mendip, thought to have been the home of his mother Ann Brodyll Chew and his second wife Rachel Constable. As the home county of Sir William Berkeley, the royalist Governor who promoted the colony as a Cavalier refuge during the English Civil War, Somerset and its nearby West Country counties played a defining role in the customs, government and peopling of Colonial Virginia.